For many Westport parents, kids’ activities — sports, arts, organizations, lessons, you name it — are easy to access. And there are gazillions of them. For parents with special needs children, it’s not as easy. There are many excellent programs, but they can be hard to find. And even though the PTAs’ SpED (Special Education) committee spreads the word through an info-filled weekly email — including options outside of school, and resources for parents too — plenty of Westporters don’t even know they can join that list. Some of the programs — here and in nearby towns — are inclusive. Others are adapted, making them attainable to those who did not think they could participate. So how can parents learn what’s out there? Westporter Johanna Kiev has compiled a massive database of material. She’s shared it with “06880” — which is honored to offer it to our readers. (Johanna has also developed a Facebook resource page — click here to see it). Thanks, Johanna. And everyone: Feel free to forward this far and wide! 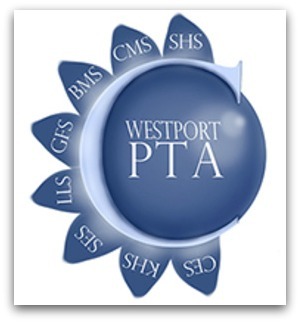 Westport SpED PTA committee representatives work closely with each school’s administration, and the district’s assistant superintendent of pupil services. They meet monthly. Co-chairs are Julie McMahon and Kate Grijns. The committee also works with local agencies like the Parks & Recreation Department and Westport Library, for advocacy and programming. To be added to the PTA SpED mailing list — or if you would like to add information about a program not listed below, or are a business that can help — email westportspedpta@gmail.com. Basketball: Junior Team (8 -12 years): Saturdays 8:45 to 9:30 p.m.
Senior Team (13+ years): Saturdays 9:30 to 10:30 a.m. 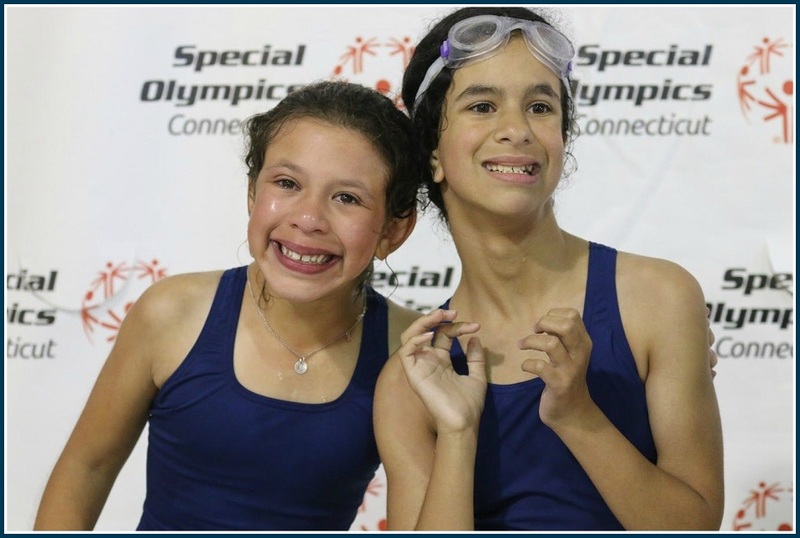 Smiles all around on the Y’s Special Olympics swim team. Special Needs Swim Lessons: The Y offers private and semi-private swim lessons at a greatly reduced rate for children with special needs. Lessons can be booked at any time, but because the pool can get noisy and distracting, instructors are also available during quieter hours (evenings, Fridays, early Saturday and Sunday morning). Rates: Private 30-minute lesson, $25; 2-person 30-minute lesson, $15 each. Long Distance Running: This program is for children who are interested in completing a 5k (combination of walking and running). Practice times: Tuesdays, 4-4:45 p.m.; Saturdays, 10:45 to 11:30 a.m.
SPED Teen Fun Nights: Offered on various dates. Earthplace provides necessary resources to allow children to access and enjoy all programming. For more information or to register, click here or call 203-557-4400. MusicWorks! (Westport School of Music, 18 Woods Grove Road) sessions employ structured and improvised musical activities including singing, instrument playing, rhythm and movement, songwriting, listening, imaging and relaxation to meet individual needs. Activities are specifically designed for cognitive, emotional, psychological, physical and social concerns. 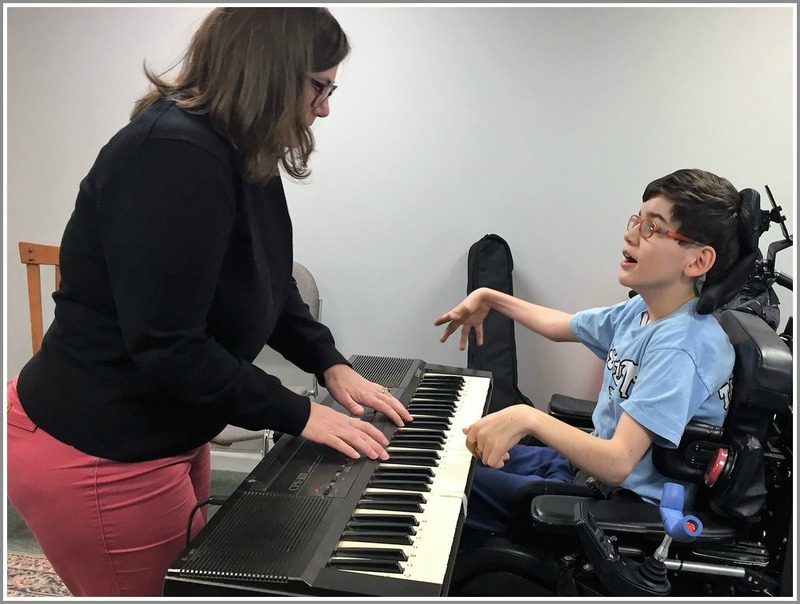 They are facilitated by board-certified music therapist Patricia Ashford, who encourages children and adults to express themselves without judgment and to grow in creativity and self-confidence. For more information or to register, call director Sarah Miller: 203-227-4931. Music Works! is specially designed for children with special needs. Break an Egg – The Social Kitchen” builds the communication skills of people with special needs through the motivating element of food. Each participant in the cooking class prepares a new recipe each week. The fall/winter program includes pumpkin muffins, apple berry salsa with cinnamon chips, garlic and lemon butternut squash noodles, and apple stir fry with whipped cream. Dietary needs can be accommodated. Classes are taught by licensed speech and language pathologist Shari Goldstein, and Penney Parkes, a food technologist and mom of a special needs young adult. Classes are held in Fairfield on Tuesdays and Saturdays. They can be held at home kitchens if parents form a group of youngsters to cook together. There are classes for elementary, middle and high school students. A preschool class could be organized too. The Foundation introduces a pilot youth arts program for children with special needs this month in Westport. The hands-on program, conducted by local artists, includes 10 to 15 children around ages 8 to 16 to work on a mosaic-type project. For more information, email michellevitulich@gmail.com or call 203-349-0455. Saturdays, 11am to 11:45am (through February 9) at the Westport PAL Rink at Longshore. Individual and group instruction in basic skills is offered at the Westport PAL Rink at Longshore. Parents are encouraged to skate with their children. The program runs Saturdays through February 9 (11 to 11:45 a.m.). To register, click here. This program pairs young volunteers with children with special needs. Details on the spring season will be available soon; click here. 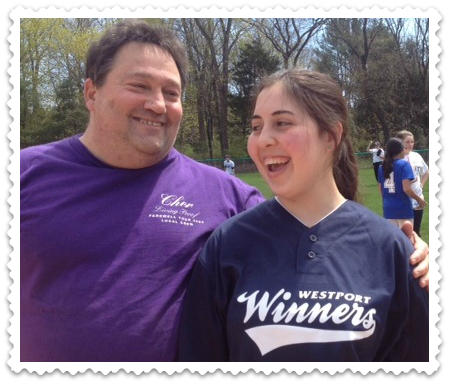 Hillary Lipper shares a laugh with Coach Scott, during the 2013 Challenger season. Norwalk-based Circle of Friends includes many Westporters. The organization matches special needs children with teenage volunteers for play dates. The group also organizes monthly gatherings for youngsters with special needs. For more information, click here. Music, Movement & Yoga – fun and interactive for all ability levels. Music Mania – provides opportunities for children to explore their creativity, using music to improve skills. Zumba Kids Jr – kid-friendly routines based on original Zumba choreography. Ready, Set, Move – enables children to engage their muscles by moving through an obstacle course and yoga positions. This entry was posted in Arts, Children, Organizations, Sports, Teenagers, YMCA and tagged Circle of Friends, Drew Friedman Foundation, Earthplace, Special needs youngsters, Westport Little League Challenger program, Westport PAL skating rink, Westport PTA SpED committee, Westport Weston YMCA. Bookmark the permalink. If anyone is interested in the most fun baseball/softball program, please contact Challenger Commissioner, Beth Cody, for more information at westportball@aol.com. We have an AMAZING coach, Mike Connors, who has been with us since we started six years ago and gives his heart and soul to the kids. Teams consist of boys and girls age 5-18. Games, buddies, activities, parties—come join the fun! Thank you for listing these very important resources! Thanks to Johanna for compiling and sharing this exhaustive list of resources. The Kiev family is extremely generous and active in supporting special needs children. We are fortunate to have such wonderful and caring members of our community! Thanks for compiling this list. Wilton offers a TOPS Soccer program in the fall and spring..players are paired with a high school volunteer and meet up for an hour over the weekend. It is also open to surrounding communities. I believe it is ages 4 and up. Angelfish is another great program that the Wilton YMCA has and many other towns in CT. It is swimming lessons/PT for special needs kids. There is also a summer theater program in New Canaan for special needs kids (STONC) as well as Super Troopers (Horse therapy camp in New Canaan). Ridgefield has an amazing theater (Prospector Theater) staffed by special needs adults and often has sensory movie screenings. Stepping Stones and the Maritime Aquarium (both in Norwalk) offer sensory friendly/Accessability days once a month on the weekends. Westport library just started a sensory story time for 2-3 year olds. Dance 4 All Abilities is an adaptive dance program for children facing various challenges. The program provides a fun, small group dance class using creative movement principles with modified ballet technique. Allowing dancers with Autism Spectral Disorder, Down syndrome and physical disabilities to engage, explore and express themselves in dance. Inclusive classes for dancers of all abilities and needs. Call or email us to register! An intake interview will be given for new dancers before the start of the session. Information from the interview will be used for class placement. Please register early. Class size is limited. Any questions or need additional information? Call or email us. Wonderful program! This year the Connecticut Dance School had a sensory friendly Nutcracker and included the students from the Dance 4 All program! Thanks to Johanna – this in an amazing tool for any parent of children with special needs! Is anyone aware of a similar resource listing northern Fairfield county towns?